When it comes to portable live sound solutions, it doesn't get any better than STAGEPAS. 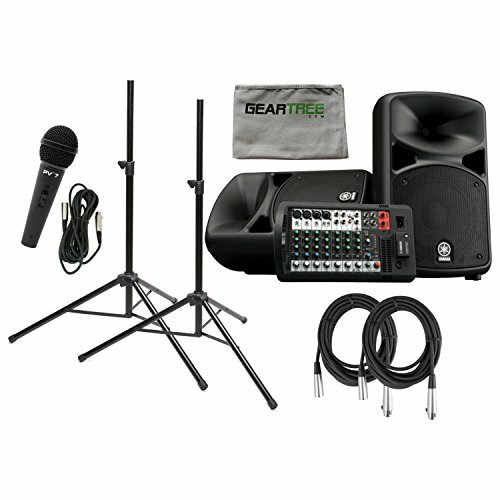 With impressive power and sound quality, intuitive control, and a comprehensive array of flexible features, including a new Bluetooth wireless audio streaming function, this all-in-one PA system builds on the STAGEPAS legacy of providing everything you need to transform any environment into your own personal stage. You can take literally anywhere the all-in-one PA system STAGEPAS which is compact and light enough to carry by hand. The two lightweight speakers and a detachable mixer, along with one pair of speaker cables and a power cord, combine into an attractive, compact package that provides the kind of portability that no roadie would ever dare to dream of. Equipped with a Bluetooth input for wireless audio streaming from smartphones or tablets, the STAGEPAS-BT models let you seamlessly play backing tracks for gigs, or set the tone of parties, conferences, or events with the audio playback of your choice.